Weleda have a new Evening Primrose Range on the market, in perfect time for Mother's Day. The benefits of primrose are ongoing and has been highly talked about lately for all those benefits. Weleda have a range of products out that would be perfect for that special lady in your life that you will be gifting presents to on Mothers Day. I am a fan of Weleda as a brand and have a few products in my collection, which you may have remembered when I featured them previously in a post on the blog. 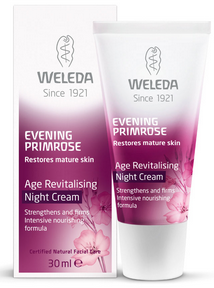 The new Weleda Evening Primrose range has been designed to revitalise, rejuvenate and enhance mature skin with essential nutrients from Evening Primrose, Macadamia Nut Oil and Jojoba Seed Oil. The range is specifically formulated to target aging skin, help restore moisture and leave skin soft and supple. 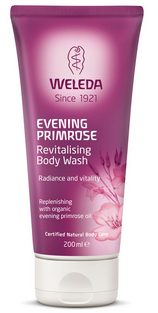 To celebrate Mother’s Day, Weleda and NJT Blogger are excited to pamper one lucky mum with a Weleda Evening Primrose skin and body care pack (valued at over $150). Because she survived my teenage years! My mum is my everyday wonder, has been through so much and still gives her all to her family. My lifesaving vaccine, learnt long life lessons, things she taught me at her knee are honesty, faith and love, her soul is joined with things above. because on this Mothers day i want her to feel special - my way of of appreciating whatever she has done for me till today. I think I deserve this after making it through 2 weeks of school holidays for the first time working as well! My mom showed ME how to be a good mom. I couldn't have a better example and I love her for her unwavering support! So some beauty products will help soft skin stay. Nothing beats a unique, loving mum who dances to the beat of her own drum! My mum works in aged care which is a demanding and tough job. She has a heart of gold and is always there for everyone through thick and thin. My daughter deserves this for supporting me when my Mum passed away 18mths ago. She booked the flights and even paid for them as I had no money at the time. She helped me clean up mums house, arrange the funeral and she even spoke at the service. That is fantastic. Such a beautiful thing your daughter did. You've got a good one there - and it would be thanks to you and your teaching that she is, the way she is today. Because she needs a little "me" time. Always putting others first, and therefore never having any time for herself. Now she'll have an excuse!! I\d actually love to win it for my sister, who is a single mum to two beautiful young girls, and works full time to provide for them. She never treats herself, and this would make a beautiful gift for her. Mum deserves a treat and to be made feel special for all she does for her family! My Mum raised 4 naughty kids, and one cheeky grand daughter and she is still smiling today, and free of grey hair! Go your Mum! I wish to never have grey hair. My Mum raised 6 of us kids and took in 4 more through the years and still looks mighty fine and is grey hair free too. Champion Mums I say. Every mum is great and deserves this fabulous prize. Raising kids while looking after the whole family is not a easy job. Good luck to every hard working mother. Like all mums-she puts the kids fist,spoiling herself is an unknown thing-love this for her!! I think my mum should win because she is truly AMAZING! I know that she would love it and that she will be very pleased if I gave it to her as a present for Mothers Day! She is an amazing woman and does A LOT for eveyone around her. She is my LEGEND! My wife deserves this as she is a wonderful mother to our 4 children, i am a FIFO and she is doing the best job she can to raise our 4 children. I know it must get tough for her a times. I no longer have my mum, so would love this for myself! Like all the lovely women entering this competition, I deserve a beautiful treat, as so many of us put ourselves last. I'd love to give this to my Mother-in law. My mum passed away last year, and hubby's mum was there for us, and helped us as much as she could. She really helped us through a difficult time, and I'd love this to say thank you. We 4 kids; never go without! Please reward her; happiness reversed. My mum is trying so hard to quit smoking. She is doing so well with all our love and support. It's been a tough 6 months so far. We are so proud of her efforts. This would be a great pick me up for her. My mum is the most special person I know and she deserves to be spoilt just to show her how special she is to me. My mum needs this because she says that looking after my high maintenance baby has really aged her!! !